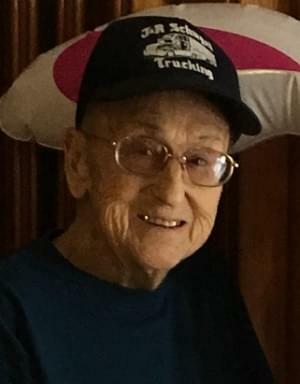 Darrell Leon Gorman, 90, of Centralia, passed away Saturday, April 13, 2019 at SSM Health St. Mary’s Hospital in Centralia. Darrell served in the U.S. Navy. He worked for Illinois Bell for 30 plus years. He enjoyed gardening, fishing and hunting. His greatest enjoyment was spending time with his granddaughters, family and friends. Per Darrell’s wishes, cremation rites will be accorded and a private family service will be held at a later date. Burial will be held at Hillcrest Memorial Park in Centralia. Sutherland-Garnier Funeral Home and Cremation Services at 235 North Sycamore Street Centralia, Illinois 62801, (618)532-3523, are honored to be of service to the Gorman Family. Online condolences may be made to the family by visiting www.sutherlandfuneralhome.com. In addition to his wife, Barbara Gorman of Centralia, he is also survived by a daughter: Terrie Schymick and husband Don of Sandoval; three granddaughters: Katie, Kelli, and Karli and two great-granddaughters: Stella and Emelia; two brothers: Buddy Gorman and wife Pat of Florida and Mike Gorman and Jennifer of Ohio; several nieces and nephews. He was born October 9, 1928 in Centralia, son of Wilson Gorman and Alice (North) Gorman. He married Barbara Bierman and she survives in Centralia. Darrell was preceded in death by his parents and two sons: Darrell Lee Gorman and James “Jim” Gorman.